The friends first met on set of SNL! 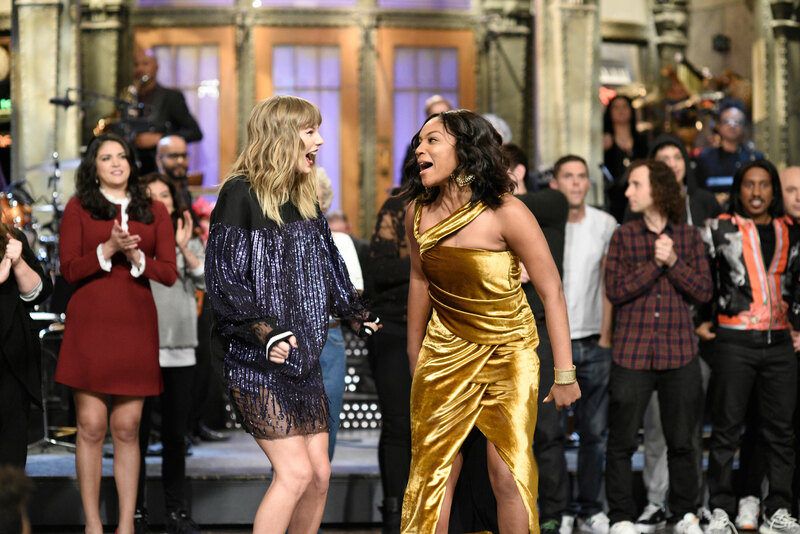 Recently, Tiffany Haddish made history when she became the first black female stand-up comic to host Saturday Night Live in its 43 seasons and on that iconic night Taylor Swift was featured as the musical guest, which ultimately lead to their budding friendship. The Girls Trip star and the “Look What You Made Me Do” singer hit it off while on set of SNL and decided that they should be friends. On Monday the comedienne stopped by the Ellen DeGeneres Show and spoke about the events that lead up to their hilarious dinner date. “Taylor was like, ‘Tiffany oh my God I like you, we gotta hang out!’ I was like, ‘Yes! We gotta hang out girl, let’s hang out! '” Tiffany told Ellen before admitting that their hangout would only happen under one condition. On the show Tiffany also spoke about meeting Barbra Streisand and her difficult childhood growing up with a mother with schizophrenia and her experience in foster care.